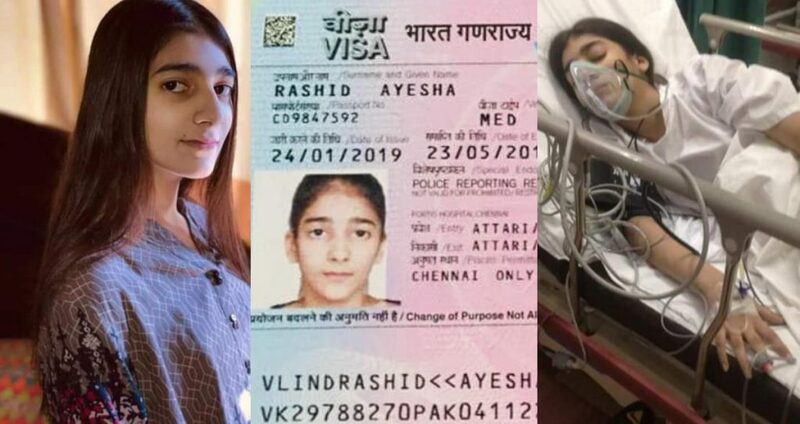 Our 13-Year-Old Diamond Ayesha Rashid Has Acquired Her Indian Visa But She Still Needs Your Help And Prayers! Life is full of surprises, some might hit us hard and some can make us fly. It’s amazing to see how Allah has different plans for everyone, usually, we question ‘why me’ but have you ever wondered that He loves us 70 times more than our mothers, how can he plan something that is not in our best interest. Last week we heard about Ayesha, a 13-year-old girl who’s suffering from Cardiomyopathy (DCMP), a rare and life taking disease. Since the diagnosis, the family has been in crisis. Not just financially but emotionally and physically where they have to run around for doctors, best treatments and medications. It’s a real test to see your loved ones in severe pain, and for parents, it becomes so tough to see their little girl tied to machines, I can’t even put myself in their shoes. But we must take a moment to applaud the courage and steadfastness of her parents who are facing the situation and not giving up. Since the disease is rare and cannot be treated in Pakistan, the solution to this given by their doctor Mehnaz Siddique was a heart transplant. But, what bad luck? Pakistan is again of no help here. So they reach out for international assistance and applied for a medical visa. A ray of hope grew amongst the family that this fatal disease won’t get to their daughter but then who knew they had one more test to pass. Their medical visa got rejected. Sometimes you get so helpless that you lose hope but this isn’t the case here if one door closes the other opens. They used social media to voice their story and asked for prayers and donations for the little one. I love how the power of social media drives people, connecting people from different countries, time zones or even different languages. So now’s the time for the good news, Ayesha finally gets her Indian medical visa and it’s because of the love and support the family got via the media. But the struggles are never-ending. We are glad she got her visa, but her treatment is expensive. To overcome this challenge Ayesha’s sister again uses social media as her platform to thank all the generous supporters and also to ask for more donations that will further aid her medical transplant. This incident gives us an opportunity to thank Allah for all his blessings, some might have asked for abundant others that were given to us because He loves us more than anyone. It’s hard to accept reality but sometimes that’s the only option we have. 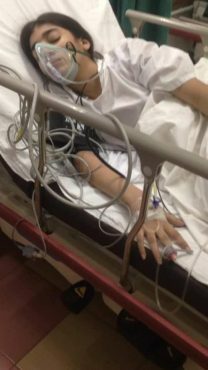 Let’s get inspired by this brave girl who’s battling against the disease and her strong family that stood firm against all odds. Donate as much as you can, help others today because what goes around comes around! Let’s help Ayesha!